The best person within you as you write the story you want to live. A nourishing journey where you will reconnect with your deepest desires. Beautiful vistas while enjoying flavors of your life that you want to savor. A chance to have meaningful conversations, starting with a book assigned exclusively for your group – to talk about, to learn from, to enjoy. All while enjoying the company of like-minded women. Travel insurance is strongly recommended especially trip cancellation coverage. Shop online for travel insurance at InsureMyTrip.com or go to TravelGuard.com, TravelersMed.com. Health insurance is required. Companies such as InsureMyTrip.com can provide you with different quotes on health coverage overseas as well as trip cancellation insurance. These links are for convenience only we do not endorse any programs or companies. Airfare, transportation from landing site (unless arranged in advance), personal shopping, travel insurance. * Price subject to change without notice due to currency fluctuations in Europe. Your investment in yourself is just $5,500. If you reserve your space by February 13, 2019, your special price is $4995. You desire an experience to renew, re-energize, and be excited about your life, so it is time now to invest in yourself. Join this exclusive group of amazing women. • You are an executive woman in a corporation or a business owner. • You are driven and always giving. • You have reached a point where you truly need some time for yourself. Be a part of a special retreat just for you and a small, exclusive group of other executive women and business owners who have similar experiences and pressures from intense careers or businesses and want to add more fun and joy into your lives. 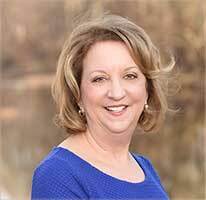 Executive Women’s Coach – Marybeth Gregg is the founder of the International Center for Women in Leadership. Her vast career encompasses consumer products, luxury goods, retail, pharmaceutical and financial services companies globally, where she was a human resources executive and consultant. Her passion is to work with women executives who are ready for more soul-filling experiences away from their daily stress and routine. Her quest for a more fulfilling purpose and mission in life is what propelled her to founding the International Center for Women in Leadership. She will guide and lead participants on this magical retreat to find true rejuvenation and clarity surrounding your own life desires. If you are ready for something more in your life, Marybeth is the guide to bring you to your own discoveries and renewals. 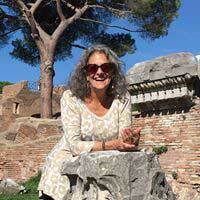 Travel Guide – Cheryl Alexander has been traveling to Europe, particularly Italy, for more than 20 years. Her interest in Italy, its history, art and rich culture led her to purchase property in the countryside near Orvieto, allowing her to spend more time there. Cheryl’s exploration of Italy include the regions of Tuscany, Umbria, and Lazio, as well as the areas around Venice, then south to Puglia and the island of Sicily. Her twice yearly trips to Italy have resulted in many friendships with the locals who are very generous in sharing the region’s hidden treasures with her. She continues to travel into Italy’s less traveled areas and enjoys sharing her discoveries with others. Cheryl spends the rest of her time near the beach in San Diego, spending time with her two grandchildren. She’s an avid reader, health advocate, and community volunteer. Her career as a social worker brings an understanding of people’s needs to the tour business and she has over 40 years experience in the field of wellness. • The joyful benefits of having taken some much-needed time away from the pressures of your work and your life. • The comfort of a week of Self-Care, Reflection, Connection, and Renewal. • How making memories and having fun will sustain you and help you re-enter the reality of your future life with renewed focus and energy. • How being with like-minded women sharing their experiences and wisdom will open up new ideas, avenues, and networks for you. • Many times you are investing too much time and energy into your work and into other people, and not getting enough back for you! Cost: $5,500.00 Early Payment Incentive If paid by February 13, 2019: the cost is $4,995.00 Payment Options: Deposit (non-refundable) of $1,750.00 upon registration Balance is due 60 days prior to the retreat, March 31, 2019 PayPal 6 Option - through Paypal, you can apply for the option of making payments over 6 months. It is your responsibility to read and understand our cancellation policy before making a reservation. Please note that there will be no refunds or discounts for arriving late, leaving early, flight cancellations, travel delays or illness. If you cancel your participation in a retreat for any reason, the cancellation policy below will apply, with no exceptions. If you cancel your trip, we do not offer refunds for any reason. Depending on when you cancel, cancellation penalties will apply. Exceptions to our policy cannot be made for any reason. To join the retreat, you must have travel insurance. Please be sure that your insurance policy covers you for all relevant activities you will be engaging in on your retreat, TRIP CANCELLATION, and overseas health insurance, and other insurance (accident, disability, etc.) you feel you need. Please see the Reservation Page for more details.